Ace Cafe will start its engines with a grand opening weekend full of events starting May 19. It’s been about three years since the London-based eatery first announced plans to bring its motor-themed concept to Orlando. 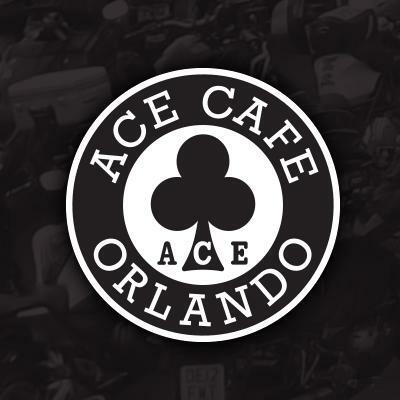 This is the first Ace Cafe to open in the United States. In its two-story main building, Ace Cafe Orlando will offer a full-service restaurant, two kitchens, four bars, a coffee bar, a communal counter, private dining rooms and more. Enter to win a raffle to win a BMW RnineT Racer will open as well as a giveaway for a trip for two to the 24th Annual Ace Cafe London Reunion Weekend. The contests will be open all weekend. The raffle benefits the Arnold Palmer Hospital for Children. There will also be live painting and sculpting works by Japanese chopsticks painter Makoto Endo, Spanish artist Antonio Merinero and American sculptor Michael Ulman throughout the weekend. May 19: Ace Cafe will open at 7 a.m. with coffee, tea and grab ‘n go breakfast bagels, muffins, burritos, croissants, and cinnamon rolls. Live music will start in the parking lot at 4 p.m. and headliner Rockin’ Jason D. Williams will take the stage at 8 p.m.
May 20: A car show benefitting ACPH will start the day — entry for cars is $15. Ace’s 4-Banger Brunch all-you-can-eat buffet will start at 9 a.m. Enjoy free activities in the car park starting at 10 a.m. Free activities in the car park starting at 10 a.m. Live music starts at 4 p.m.
May 21: Ace’s 4-Banger Brunch all-you-can-eat buffet will again start at 9 a.m. Enjoy free activities in the car park starting at 10 a.m.